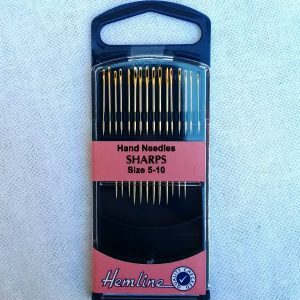 Sharps needles are a medium length with a round eye and sharp point. 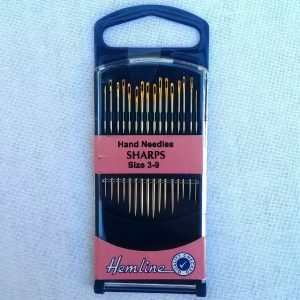 These are the most popular sewing needles for any hand-sewing project. 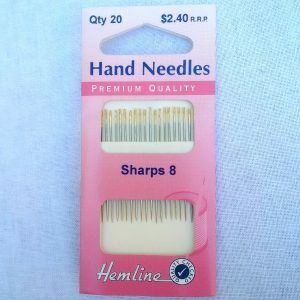 The smaller the needle size, the larger the size eye. 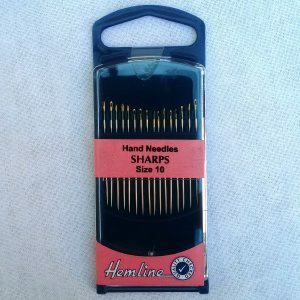 Sharps needles are a medium length with a round eye and sharp point. 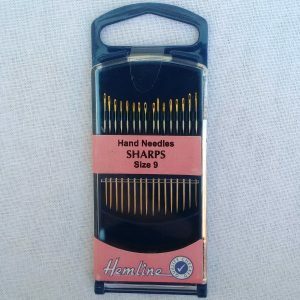 These are the most popular sewing needles for any hand-sewing project. 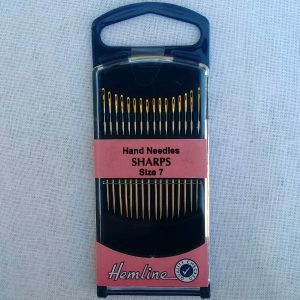 The smaller the needle size, the larger the size eye. 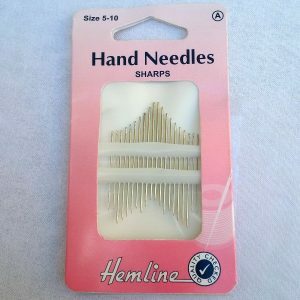 The Gold Eye needles have been dipped in gold for extra strength.